If you witness a crime or activity that seems unusual your first instinct may be to call for help and that is exactly what you should do. Surprisingly, many people don’t follow their instincts out of fear of getting involved, sounding silly, appearing overly suspicious or being identified. But, police need and want your help so it is imperative that you call. Here are a few tips to remember when calling 911. Let the operator control the conversation. He or she will know the questions to ask and may likely be filling out a report that will help dispatch the police as quickly as possible. Stay on the line until the police arrive or until the operator tells you to hang up. Description of suspects (height; build; color of eyes, hair and skin; clothing and disguises; special marks or unusual features such as scars and tattoos; and weapons, tools or vehicles used). Description of property or person(s) being subjected to criminal activity. The most important thing to remember when witnessing a crime is your own safety. Stay calm and try to get police assistance to the victim as soon as possible. Remember the golden rule: If you see something, say something. 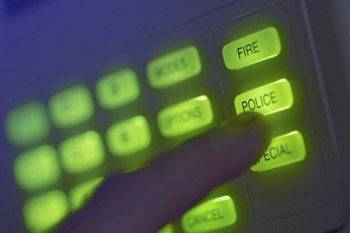 Through Alarm.org, The Electronic Security Association (ESA) provides a wide range of information that will help consumers and businesses make smart security and life safety decisions.